Uncommon annual herb found on lower edge of oak woodland below Preserve highpoint. 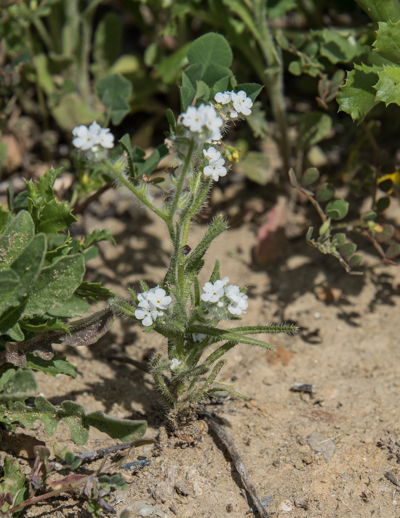 Cryptantha intermedia var. intermedia (common forget-me-not) pictured in spring.